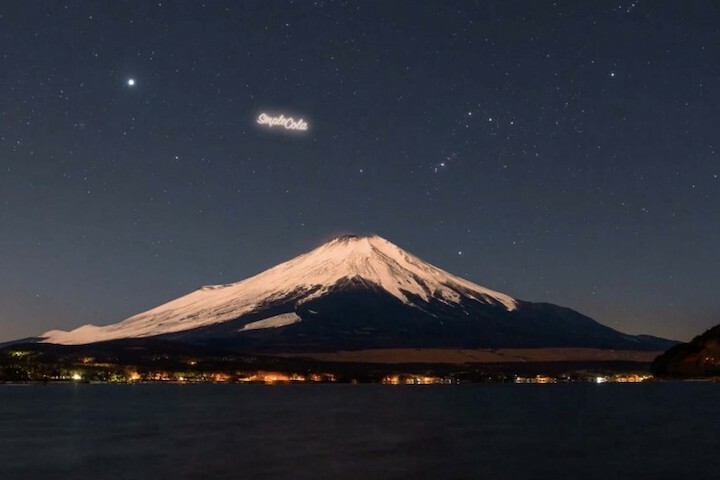 The idea to launch billboards into space may have seemed like just another marketing gimmick. Back in January, Discover first reported on a Russian start-up company named StartRocket that said it wanted to use swarms of mini satellites called CubeSats to project ads on the night sky from low-Earth orbit. Readers reacted harshly to the announcement. Some called it “repulsive.” Others urged boycotts of any company that took them up on the offer. But the beverage giant PepsiCo actually took the idea seriously, as reported by Futurism. A spokesperson for PepsiCo’s Russian branch told Futurismthat the company partnered with StartRocket and could launch an ad for their drink Adrenaline Rush as early as 2021. “We believe in StartRocket potential,” PepsiCo spokesperson Olga Mangova told Futurism in an email. “Orbital billboards are the revolution on the market of communications.” StartRocket also claimed that they had successfully tested their technology using a weather balloon. Futurism’s initial story ran on Saturday. And by Monday afternoon, PepsiCo was already walking back the project’s status in comments made to Gizmodo. The beverage maker said it did partner with StartRocket on the test, but that it was just a one-time thing. If StartRocket can find an advertiser to follow through, the actual ad will work via a string of small synchronized satellites called CubeSats. Once in position, they would unfurl reflective Mylar sails that would bounce sunlight back to Earth. According to their promotional material, the grid could spell things like “KFC” — or in this case, “Pepsi.” StartRocket was not immediately reachable for comment. Space experts have raised concerns that projects like this could contribute significantly to space debris and light pollution. Astronomer John Barentine, director of conservation for the International Dark-Sky Association in Tucson, Arizona, told Discover in January that this is a threat to astronomical research from the ground. But it also raises the question of who the actual audience is. PepsiCo initially told Futurism that their campaign will address “stereotypes and unjustified prejudices against gamers.” How stigma against video game enthusiasts and night sky advertisements relate is unclear. Nonetheless, Barentine and other astronomers reached for comment agreed that space advertising like StartRocket’s proposal is likely imminent. There are no laws against making CubeSats spell out messages and the technology already exists to make this possible. If not Pepsi, another company with a large marketing budget may want to do something similar.